Yuma, Arizona—Seven members of a Queen Creek family were on their way to Yuma to deliver loaves of bread for a fundraiser when the driver lost control, causing the vehicle to roll. The accident occurred Saturday on Interstate 8 just outside Yuma. According to Arizona DPS accident investigators, Amanda Faith Cook, age 8, had just unbuckled her seatbelt to pick up something on the floor of the car when the vehicle rolled and she was ejected. It is unclear what caused the driver, her 16-year-old sister, to lose control of the car. 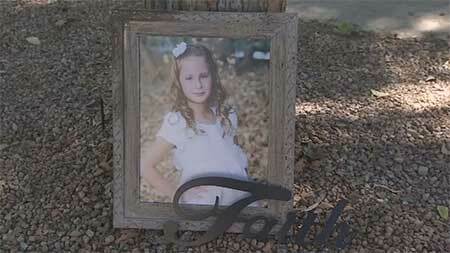 Amanda was transported to Yuma Regional Medical Center where she later died of her injuries. The Queen Creek family is formerly from Yuma. Randy Crum, the young girl’s uncle, described Amanda as happy and bubbly. “She loved to sing,” he said. We extend our condolences to Amanda’s family and friends over this tragic loss. A GoFundMe page has been established to help the Cook family with funeral costs.